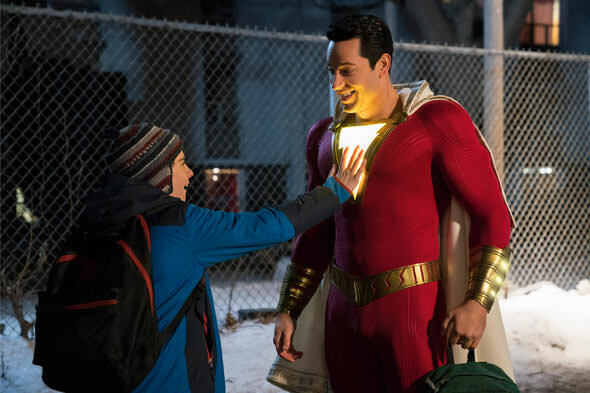 Warner Bros. Pictures is set to give big pushes for both James Wan’s “Aquaman” and David “Shazam” film at their Comic Con panel this Saturday. 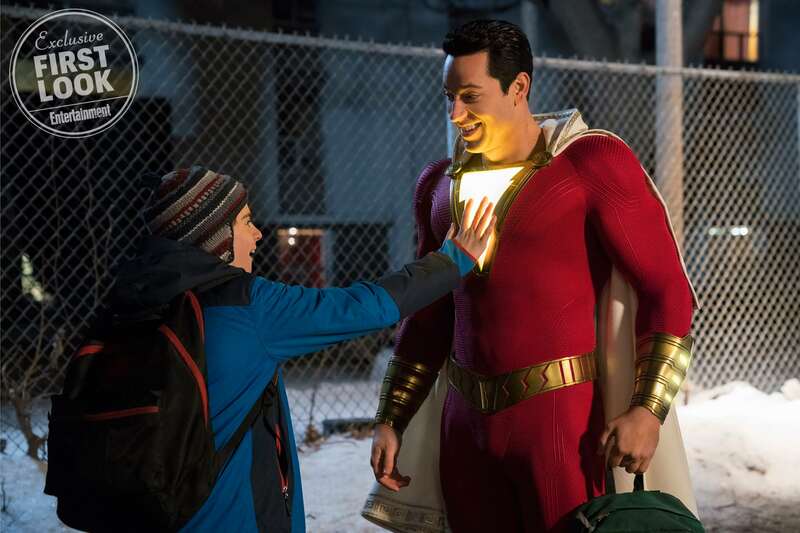 It’s expected the first trailers from both will be shown and then hopefully released online shortly after that. To tide fans over though, they’ve released new magazine cover photos and pics from both films in recent days including more today. 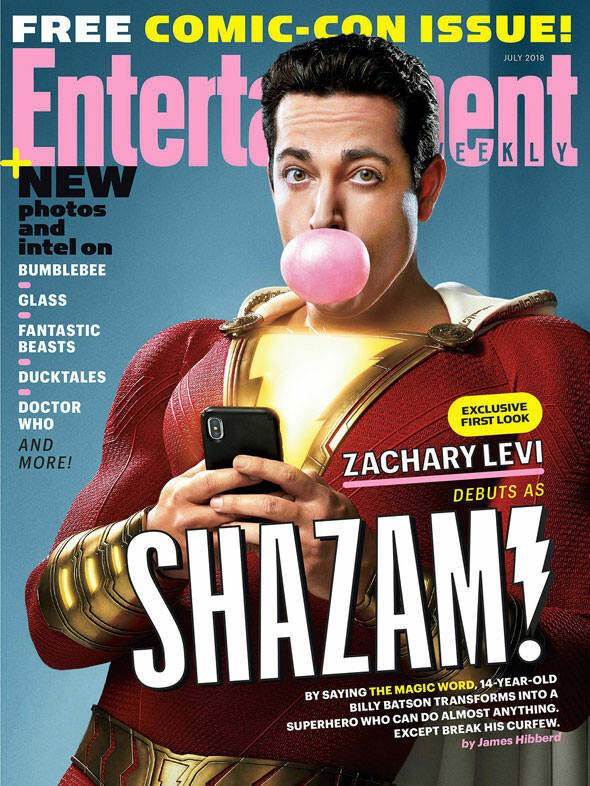 EW has a cover story on “Shazam” complete with Zachary Levi in costume on both the front cover and in a new still. 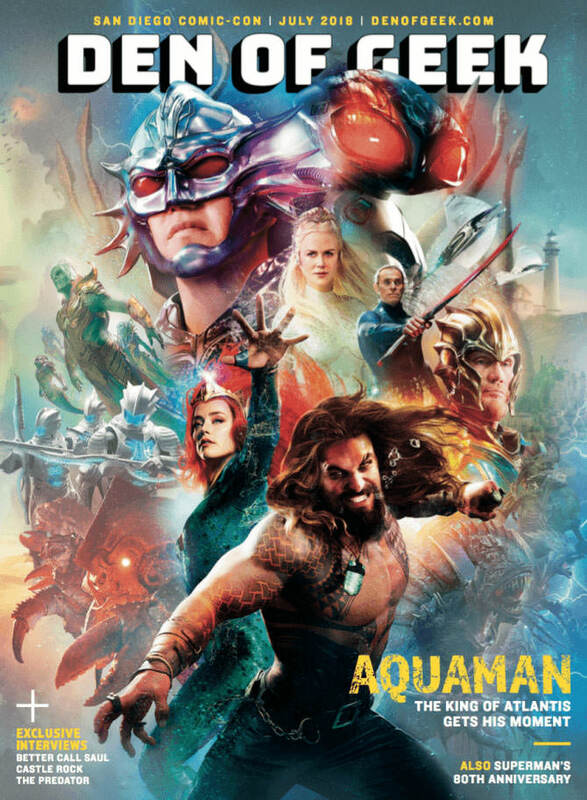 Additionally Den of Geek has a special edition magazine cover which has artwork that offers first looks at Patrick Wilson’s villain Orm (aka. Ocean Master) in his full helmet, Yahya Abdul-Mateen in his Black Manta outfit, Dolph Lundgren’s King Nereus, and Willem Dafoe as Vulko.